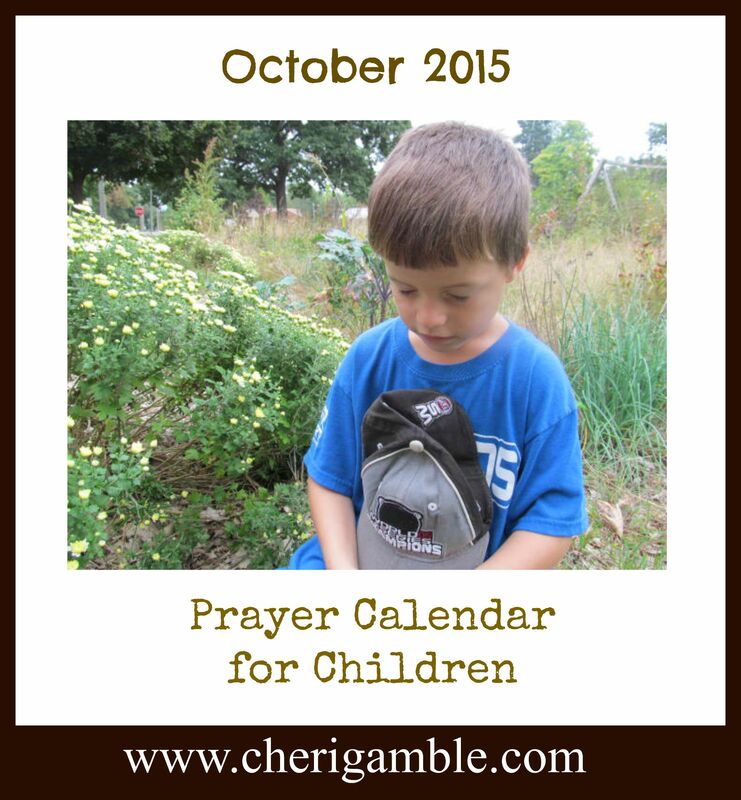 This is a free printable prayer calendar for children. Get your copy today and help your kids pray BIG throughout the month of October! Welcome to the October Prayer Calendar for Children! I am super excited that you are using these prayer calendars with your children and I hope that these calendars help your children to focus and think big when they pray! The Bible tells us to pray continually . . . all the time . . . in every circumstance . . .
That means we should pray — even when we don’t feel like it! Having a prayer calendar can help us in those “don’t feel like it” moments. No matter how you or your children feel this month, take a few minutes each day and pray. 1 Spend time today thanking God for His forgiveness. 2 Pray for those who work in the movie industry. 3 Offer to rake leaves for a neighbor. Pray for them as you rake. 4 Praise God for His everlasting love! 5 Pray for the mission field in India. 6 Pray for your local police department. 7 Pray for your best friends and their families. 8 Pray for the ability to forgive others when they hurt you. 9 Pray for those who work in the music industry. 10 Make caramel apples and give them away with a Bible verse attached. 11 Praise God that He sees everything! 12 Pray for the mission field in the Dominican Republic. 13 Pray for your local fire department. 14 Pray for your next door neighbor. 15 Pray for someone you know who has been hurt. 16 Pray for those who work in the fashion industry. 17 Carve a cross into a pumpkin. Put a candle in it and let your light shine! 18 Praise God that He is always victorious! 19 Pray for refugees and for Christ to be preached among them. 20 Pray for your local church. 21 Pray for your mom’s family. 22 Pray for the forgiveness of your nation. 23 Pray for those who work in the video game industry. 24 Make cards about Jesus to pass out to trick or treaters. 25 Praise God that He cares about you personally! 26 Pray for the governing body of your country. 27 Pray for your local schools. 28 Pray for your dad’s family. 29 Pray for any area where you need to be forgiven. 30 Pray for the people who give in to temptation in the area of drugs and alcohol. 31 If you go trick-or-treating, make cards to give to the people who give you candy! Christmas is coming soon, and now is a great time to start thinking about your Christmas presents!!! If you have people on your Christmas list who could benefit from a devotional, check out Banana Bread & Mismatched Socks: 100 Devotional Thoughts From My Every Day Life. This is a devotional that is full of stories that every mom can relate to and, more importantly, it is packed full of Scripture and practical applications! 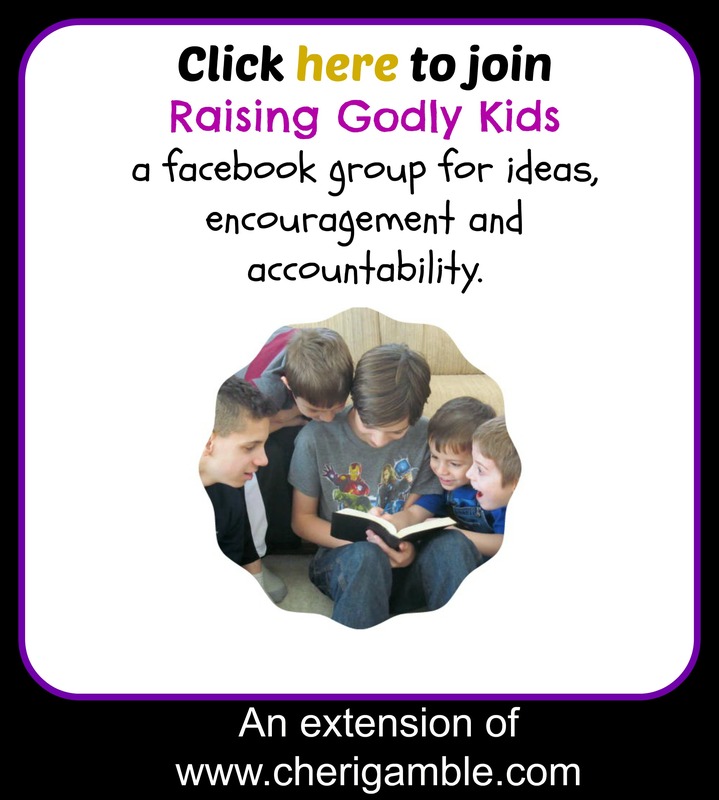 And if you have a child (especially a preteen boy), you might want to add My Brother’s Feet Smell as Bad as Noah’s Ark (and 30 other devotions that stink!) to the gifts you get for him. This devotional is a lot of fun, and contains several challenging Biblical applications. May you have a great October and I will see you next month!